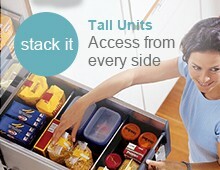 Big Boy - Waste bin for hinged doors. 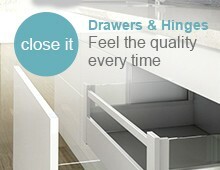 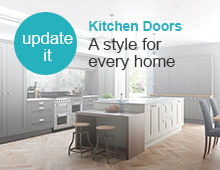 A quality waste bin designed for kitchen cabinets with left or right hand mounted doors. 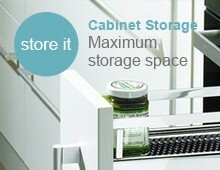 The single bin container is suspended from a metal frame which easily screws to the cabinet base. 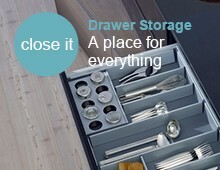 Simple to use - open your cabinet door and use the bin handle to smoothly slide the bin forward. 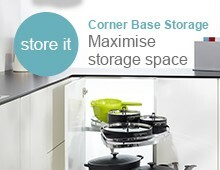 The waste bin comprises 1 large fully removable container for simple emptying and cleaning.